Some information for collectors of muselets (metal caps holding the Champagne cork)! 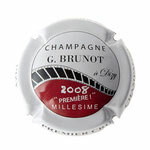 The caps of the Grand Réserve Brut, Millésime 2008 and Grand Age are personalised with our name “Champagne Brunot”. 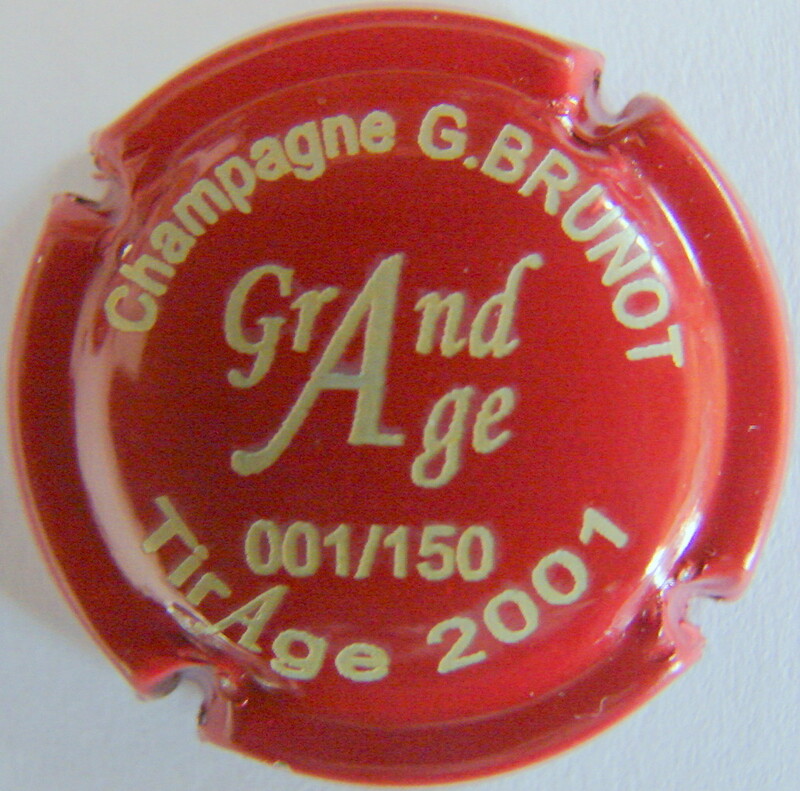 The cap of the Grand Age is a collectors cap as each cap has marked the year of the bottling and a serial number (e.g. 001/150, 002/150 etc. ), so that each cap is unique. Upon request we can supply you with a certificate of authenticity with the bottle. 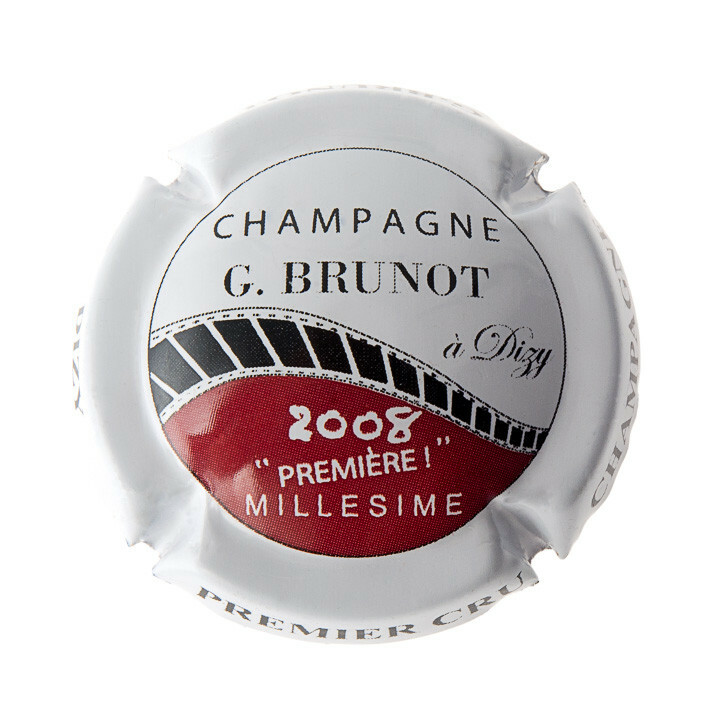 Our other types of Champagnes are sold with non personalised caps but contain different topics such as landscapes of the Champagne region, ancient tools for Champagne production, proverbs and so on. We regularly change the topics.